Born in Moscow on December 7, 1960. Borisov graduated from the Moscow State University where he had studied History and Arts. His controversial performing career (as a guitarist) began in the Center new-wave group, in 1980. Next year, he formed the Prospekt mod-band, and re-modeled it in 1985 as the shifting Notchnoi Prospekt with then-partner Ivan Sokolovsky. 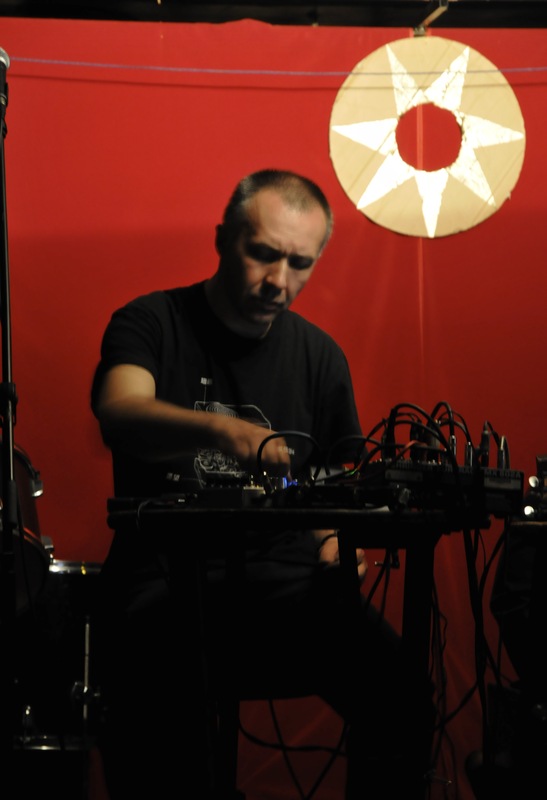 After the dissolution of the band in the beginning 1990s, he surfaced then in the “noise reconstruction and techno acoustics” duo F.R.U.I.T.S. with Pavel Zhagun (also known as Piezo) and in various short-lived art/noise/industrial acts Like Joint Committee, Atomic Bisquit Orchestra. Among his other collaborations are the joint projects with KK Null (Japan), Jeffrey Surak (USA), Leif Elggren (Sweden), Kurt Liedwart (Russia), Olga Nosova (Russia/Germany), Katya Rekk (Russia), Sergey Letov (Russia), Dave Phillips (Switzerland), Franz Pomassl (Austria), Mia Zabelka (Austria), Thomas Buckner (USA) and many more. Borisov also collaborates with different video and multi-media artists, poets, dance companies, performance groups, theaters and film directors. He also works as a DJ in clubs and on radio and contributed as a journalist to some Russian and international magazines and newspapers.